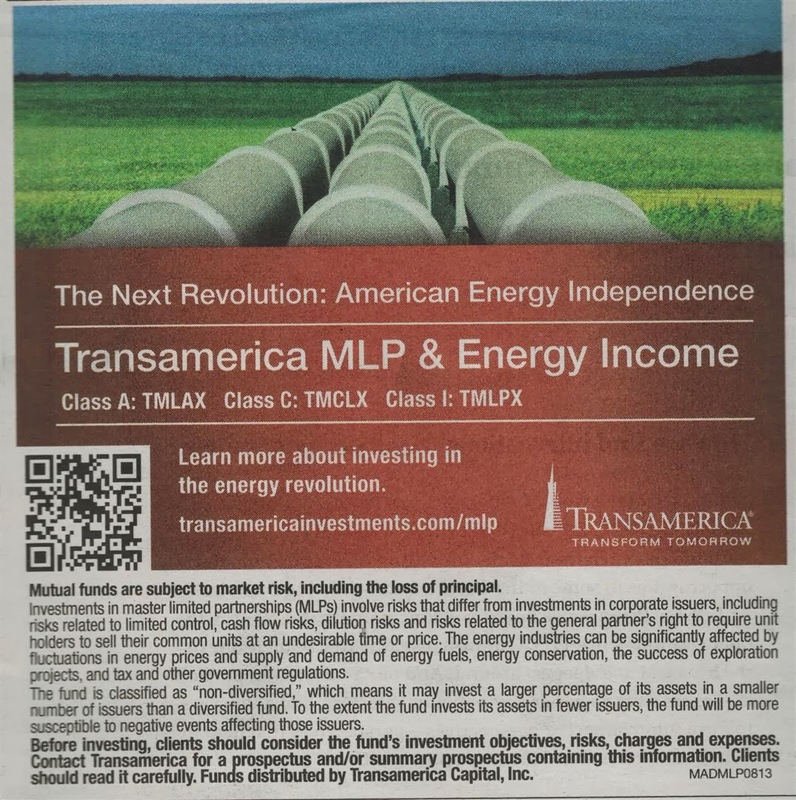 Transamerica MLP & Energy Income fund utilizes its assets to purchase equity and debt securities of energy master limited partnerships (MLPs), energy infrastructure companies and other issuers in the energy sector. It has total net assets of $263 million. This fund is recently introduced to investors in April 30, 2013. The current net expense ratio fee is 1.53% (class A). The class A fund has a sales load of 5.50%, while the institutional class doesn’t have a sales load. John C. Frey is the fund manager. You can invest with as little as $1,000 for your regular investment account or individual retirement accounts (IRA). Currently there are 23 brokerages offer this sector equity mutual fund. Some of the brokerages are: Scottrade Load, JPMorgan, TD Ameritrade Institutional NTF, RBC Wealth Management-Wrap Eligible, etc. Since its inception, this equity energy mutual fund has returned 7.71%. The top 5 stocks in its holdings are Kinder Morgan Management LLC, Kinder Morgan Inc, ONEOK Inc, Williams Companies Inc, and Enbridge Energy Management LLC. The top 3 sectors are Energy (82%), Industrials, and Utilities. The class A has a steep sales load of 5.50%. Choose institutional class if possible. Since this mutual fund is relatively new, there is still no past performance to refer to. As a sector mutual fund, it is more volatile than other diversified U.S. stock mutual funds.